Club Penguin has released a sneak peek for us regarding next months party. 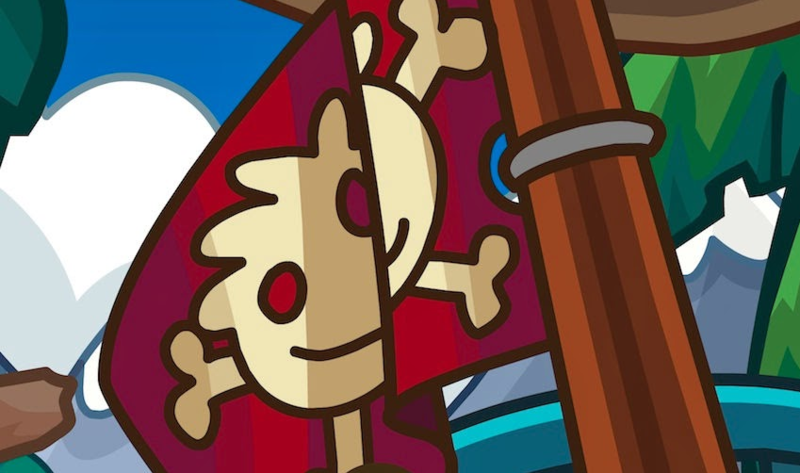 The sneak peek seems like it's a picture of a flag that would be found on a pirate ship. Guess which mascot is a pirate-- Rockhopper! Perhaps the next party will be related to pirates and maybe we'll even get to see our friend Rockhopper. Last time we had a party like this we traveled to different islands.